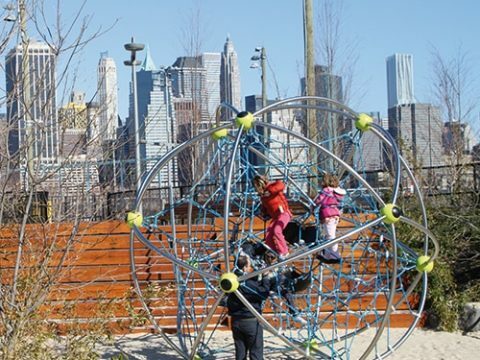 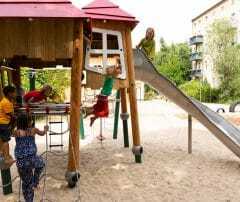 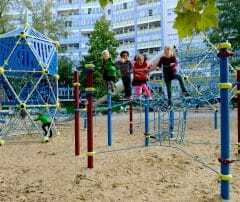 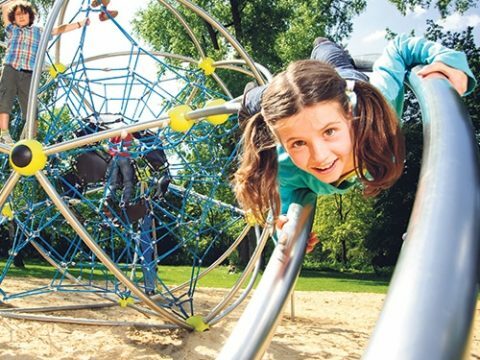 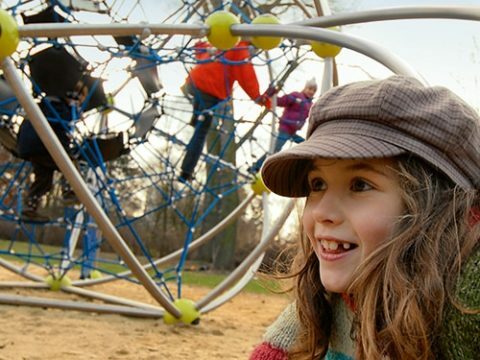 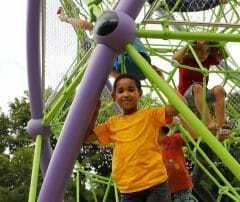 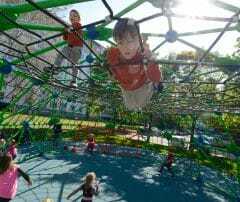 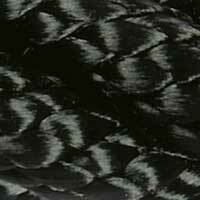 The first totally spher­ic­al rope play struc­ture offers excit­ing play options. 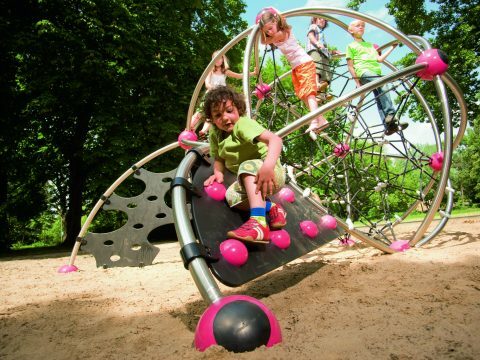 Cosmo is a whole new round of fun in play equip­ment. 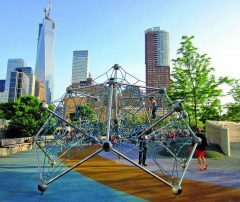 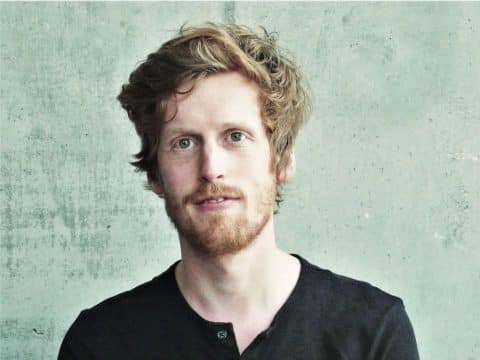 Apart from the basic sys­tem, Cosmo stands out due to its many freely select­able add-ons and diverse play activ­it­ies. 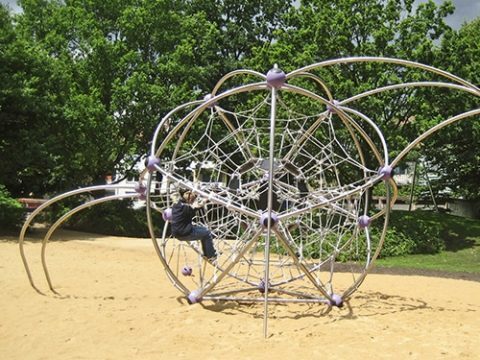 For example, climb­ing nets and walls or the “ban­is­ter” with its double curved tubes can be added all around. 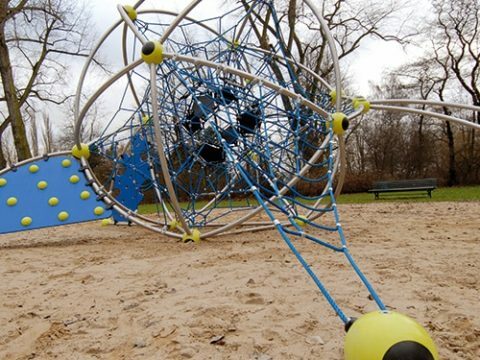 The curved tubes of the frame sys­tem are made of stain­less steel, the con­nect­ing points of the space struc­ture of powder coated cast alu­mini­um. 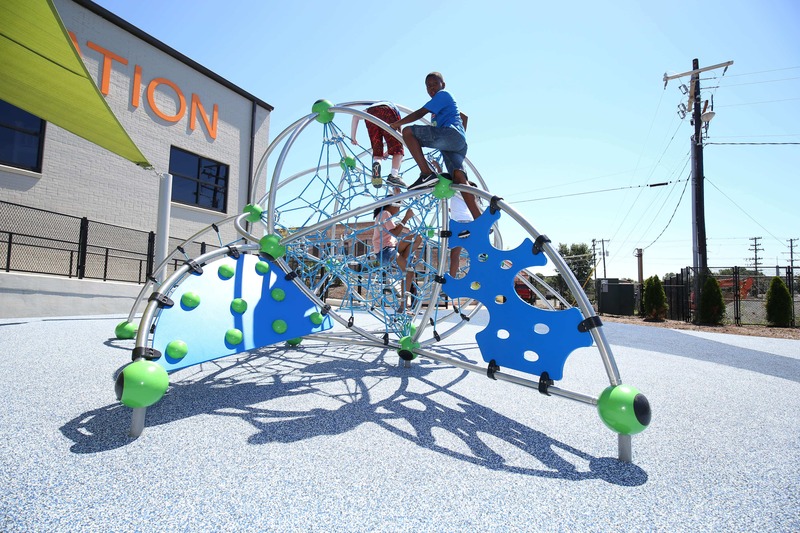 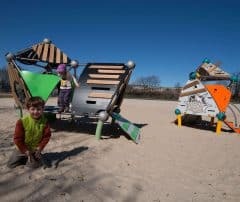 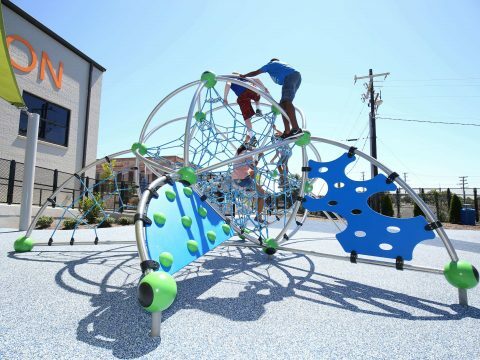 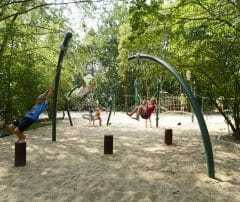 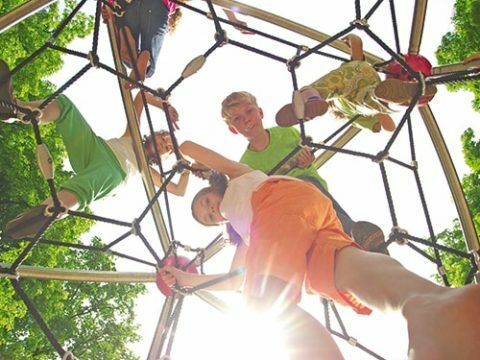 The innovative space structure offers exciting play options never before experienced. 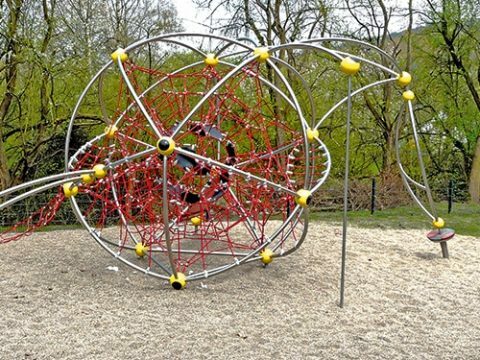 Cosmo is a whole new round of fun in play equipment: The first totally round rope play structure has arrived. 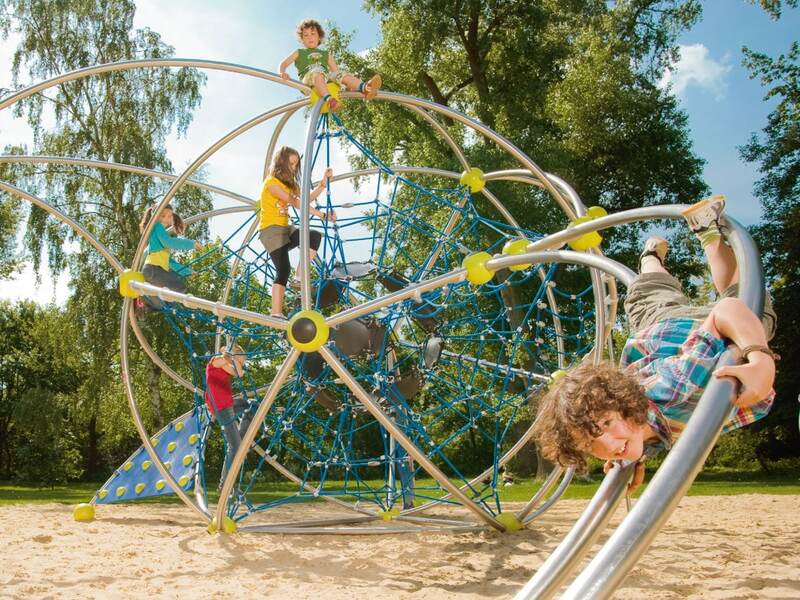 Apart from the basic system, Cosmo stands out due to its many freely selectable add-ons and diverse play activities. 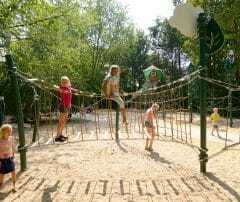 In addition to climbing nets and walls, a number of truly special features can be added all around, especially the “banister” with its double curved tubes. 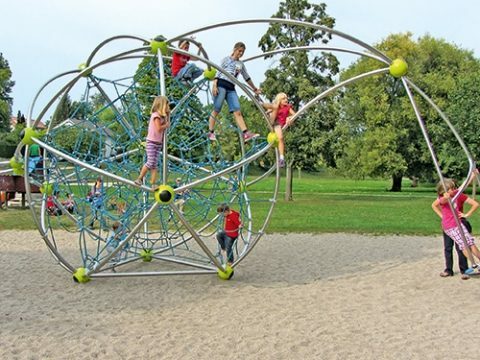 This gives the Cosmo an advantage over several rounds compared to conventional climbing frames. 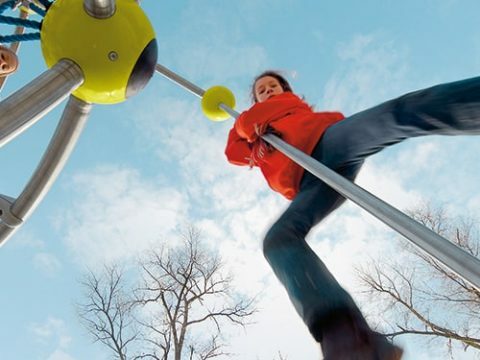 In 2008, Cosmo received the prestigious “Red Dot” design award for excellent design quality. 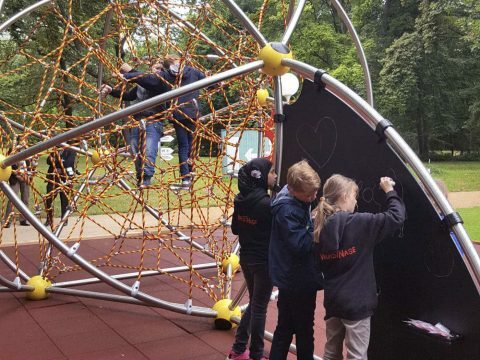 The curved tubes of the frame system are made of stainless steel, the connecting points of the space structure of powder-coated cast aluminium. 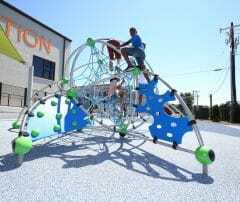 All tensioning points are provided with the patented AstemTT tensioning system. 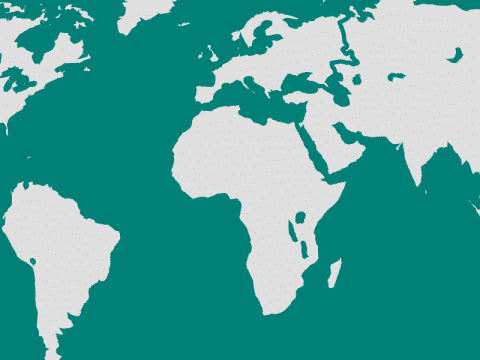 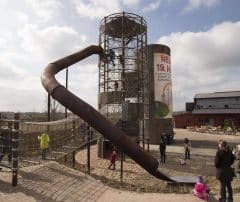 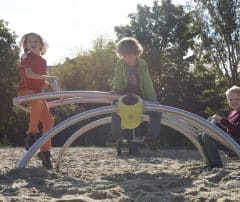 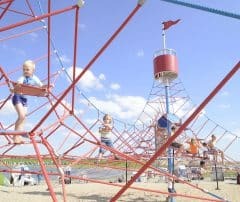 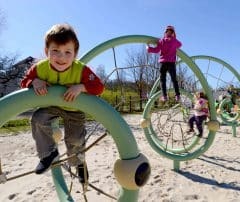 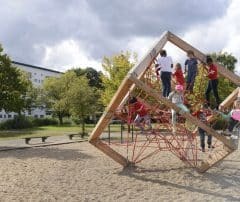 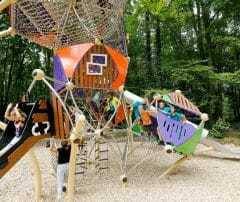 This ensures that no technical connecting elements or rope loops are located in the play area. 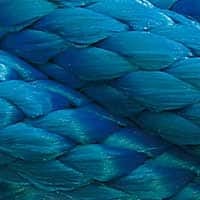 * any other colours of the Berliner Seilfabrik range are available on request.